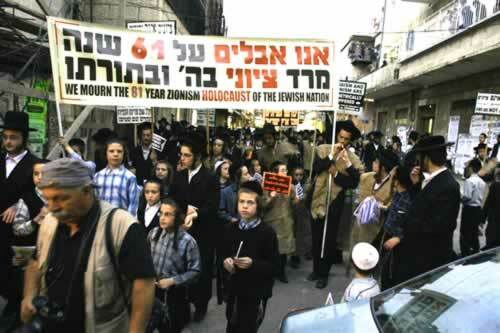 Masses of Anti Zionist Orthodox Jews march on the streets of Jerusalem in protest against the State of Israel on the 'Israeli Independence Day', April 29, 2009, followed by burning Israeli flags. 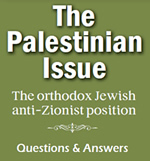 View a video of this event which has occurred annually since the creation of "Israel" in 1948. The participants are dressed in "sack cloth" to demonstrate their mourning.